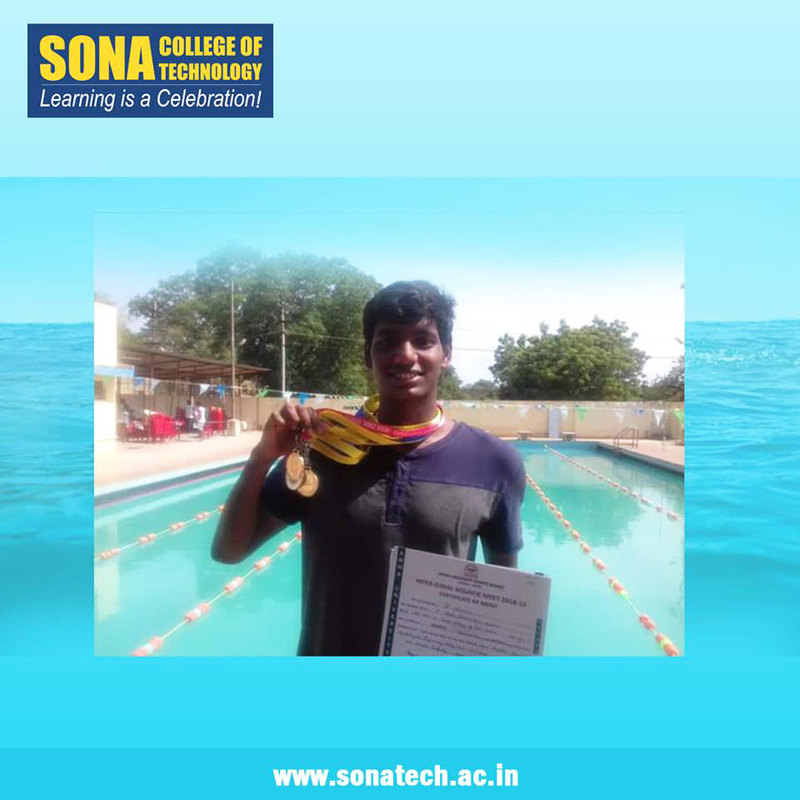 SONA congratulates Mr.P.Larsen I MBA for his astonishing performance by securing 2 gold, 2 Silver and 4 bronze medal in Anna University Interzone Swimming competition held at Tanjore. He also participated in the All India Inter university competition held at Bangalore on 9th and 10th Jan 2019. We wish him a great success for his future endeavours.. This entry was posted in Sona Sports News on January 28, 2019 by admin.